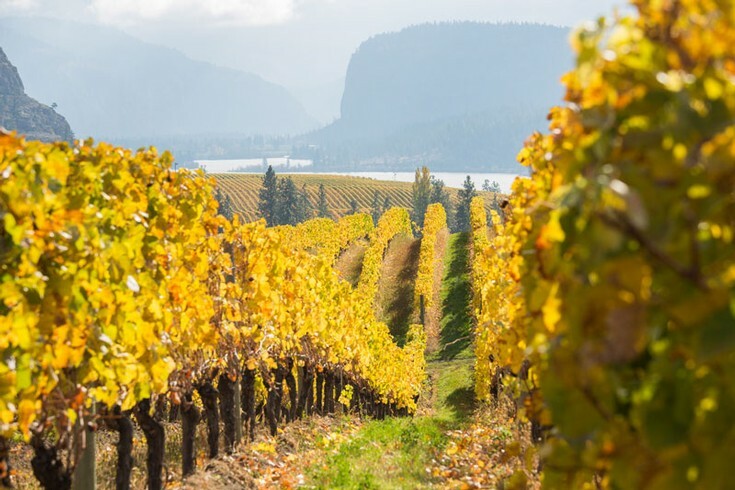 Fall is one of the most picturesque times of year in the vineyard, and 2015 was no exception to that rule. We had gorgeous weather and an early start to the season with some of the leaves starting to turn early this year. 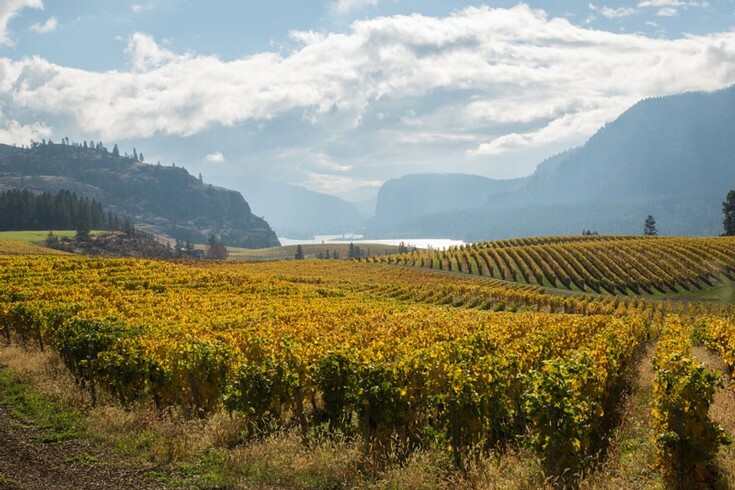 When the vineyard finally erupts from end to end in spectacular colour, there is only a week or so to enjoy it before all of the leaves begin to fall off. 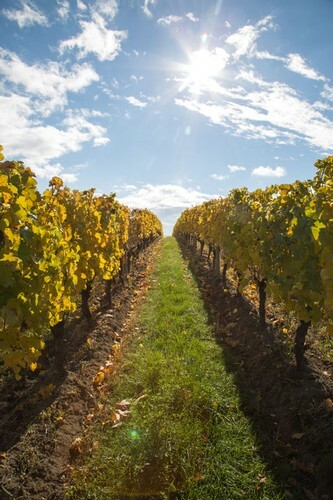 It is a precious time of year, and a great time for us here at the winery to enjoy the scenery after harvest. Ian and Matt pay careful attention to the type and quality of barrels used at Blue Mountain. In the video above, Ian explains some of the technical aspects of coopering, and the reasons behind the choice in French Oak barrels for the Pinot Noir. While the oak for the barrels may come from several different oak forests in France (mainly Vosges, Tronçais, and Allier) the cooperage for the barrels used here maintains consistent density throughout the barrel. The barrels are also divided into different toast characteristics whether they be light, medium, or heavy toast. The selection of the wine barrel has a significant impact on the flavour profile of the wine, so we hope you'll enjoy this video if you're interested in learning about some of the behind the scenes decisions here at the winery. Ian Mavety gives some insight into the Gamay Noir varietal, and in particular the 2011 vintage at Blue Mountain Winery. Typically Gamay can be a lighter red wine crafted in the Beaujolais style, but can also be a slightly heavier wine like a Beaujolais Cru, as the 2011 vintage at Blue Mountain is. Someone once told me that you know you're from the city when you don't know what a tomato should taste like. While that may be quite a sweeping statement, I fully understood what they meant when I bit into my first heirloom tomato. Compared to the commercially grown tomatoes I had been eating from my local grocery store, these typically farm fresh, somewhat mutant looking tomatoes had such a rich texture and flavour. Heirloom tomatoes lack a genetic mutation that allows them to come out looking "perfect" like the commercially grown tomatoes found in most grocery stores. The shelf life of an heirloom tomato is also considerably shorter than that of the other varieties, so it must be harvested and eaten in a short time frame. This results in only the freshest of tomatoes, and the best taste! Some of the more popular types of heirloom tomatoes around the Okanagan include the Green Zebra, Black Krim, Brandywine, Early Girl, and the Ida Gold. Pairing tomatoes with wine can be a bit tricky, but something that compliments the acidity and fruitiness of the tomato without overwhelming it is key. On the white side of things think Chardonnay, or a white with a rounder mouth feel. Pinot Blanc may also be a better choice than Pinot Gris as it tends to be a little less acidic. A dry style sparkling wine can also compliment heirloom tomatoes well. 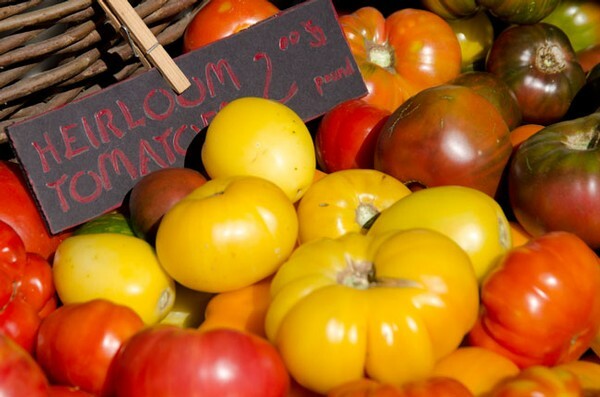 If you're in the Okanagan around the end of August into mid-September, be sure to check out our farmer's markets for the best selection of heirloom tomatoes and be sure to sample all of the beautifully odd looking varietals. Well, It's that time of year and Ironman week in Penticton has once again commenced, albeit this time for the last time as an official Ironman event. The race will live on under the Challenge Family branding and we're sure this area will continue to be a draw for endurance athletes looking to push themselves. We have one of the best long distance triathlon courses in the world here in the South Okanagan, and it happens to go right through our town of OK Falls. We look forward to cheering on all of the athletes this year as they fight toward this huge athletic achievement! Best of luck to all of the triathletes!